Workday: Thomas Point – August 26, 2016 – Chesapeake Chapter U.S.L.H.S. Despite the heat, humidity and a “plague” of aggressive biting flies, a small group of five volunteers had a productive day in late August. 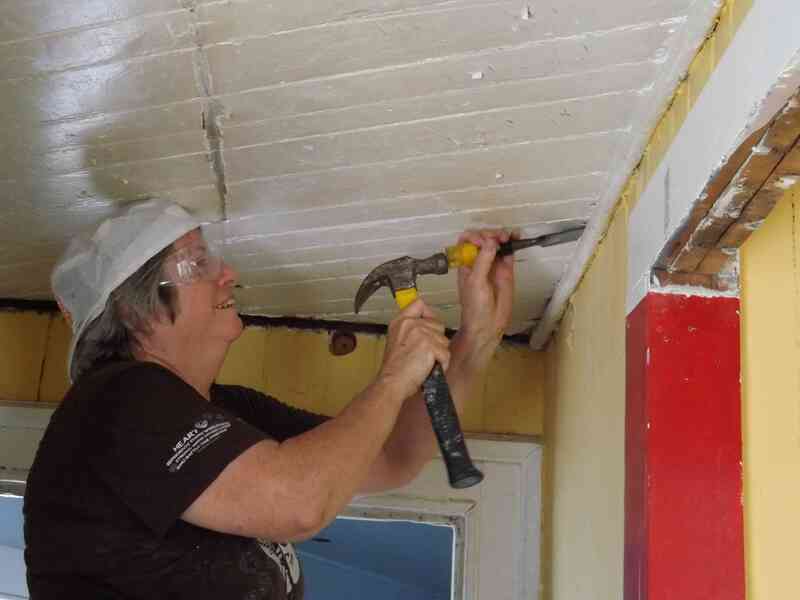 The group went out on August 26th and focused primarily on the renovation of the equipment room. While a couple of people worked on clearing the walls the others continued the installation of the siding. 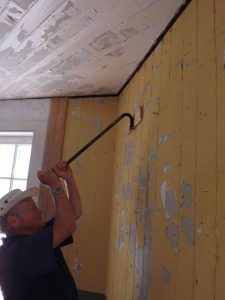 The crew was tasked with removing the old ceiling corner molding, removing nails (some quite stubborn) and then disassembling the shelves from the corner that are used to store the paint. Once the walls were cleared of obstacles, the second part of the crew continued installing the tongue & groove paneling strips. The volunteers did not come empty handed. A small load of 10-12 foot long pre-painted main level deck boards was delivered. While much of the focus was on the equipment room, there were also two landing deck board installed, filling in a gap just beyond the landing dock. The work crew had a couple of guests with them – two representatives from the wood-working company that visited the lighthouse earlier this year. They took measurements of the bad sections of exterior siding which will be replaced in the future. The heat, humidity and flies took it’s toll and by 3:30 pm, they’d had enough and surrendered to the elements. On a sad note this was Susie’s last workday at TPSLH. Susie is moving to San Diego. She been a dedicated volunteer at TPSLH and will be missed. Thanks for all the work Susie! Bob removing one of the more stubborn nails. 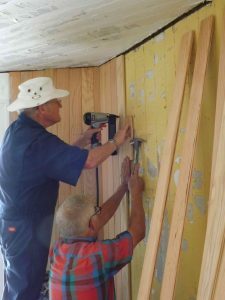 Bob and Hobie installing paneling. 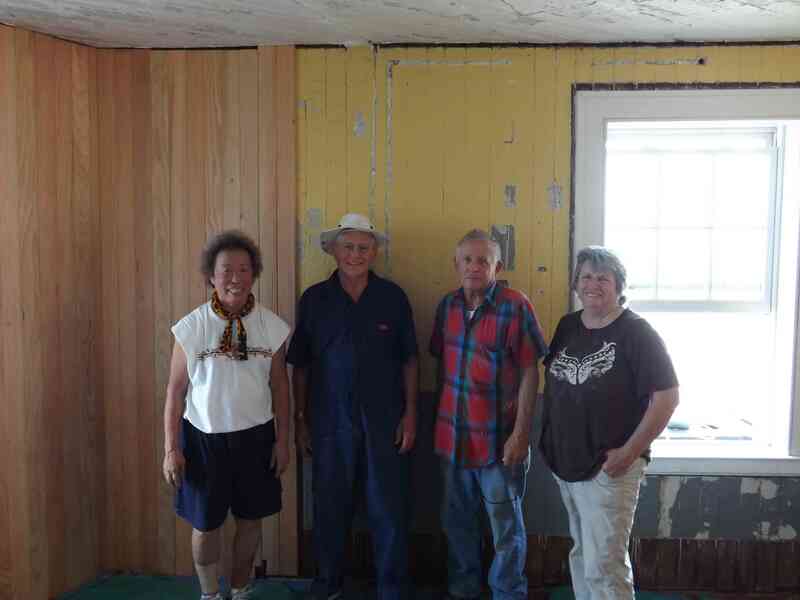 The work crew – Susie, Bob, Hobie and Virginia.